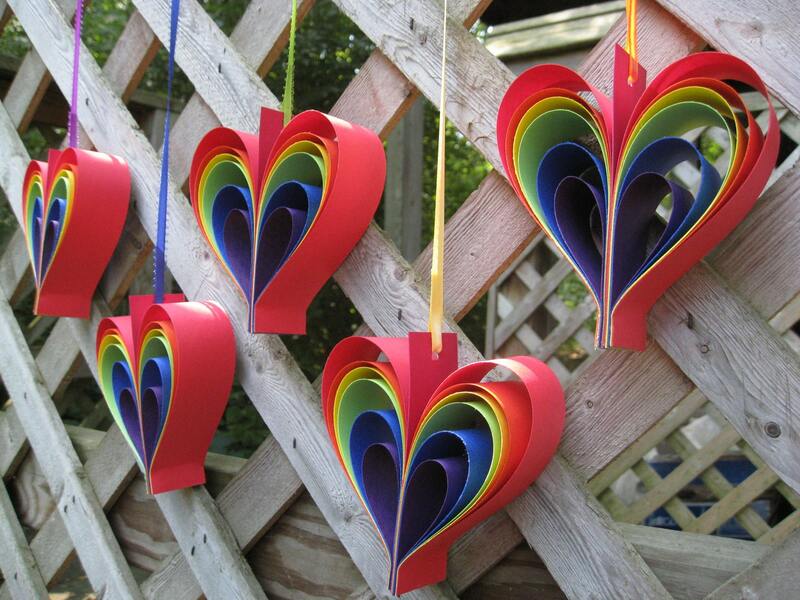 Rainbow Hearts. Wedding, Shower, Pary Decoration. Custom Orders Welcome. ANY COLOR Available. 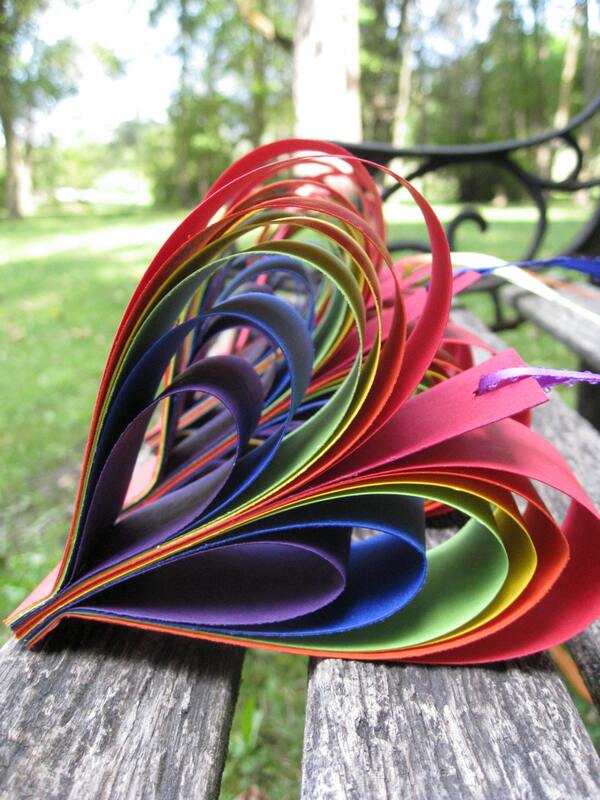 Paper Decorations. 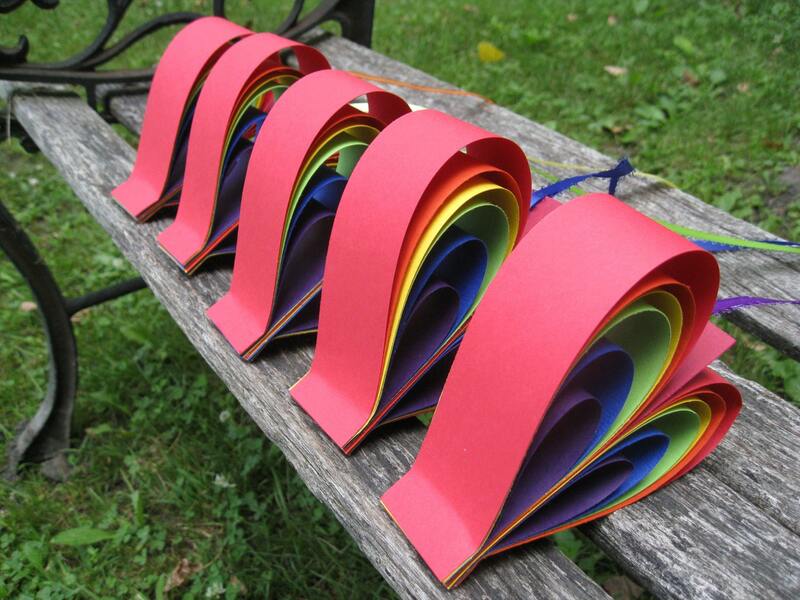 These paper rainbow hearts are just the thing to decorate any wedding, shower, or event. Or use them to decorate a child's bedroom. Or an office. They make great gifts too! 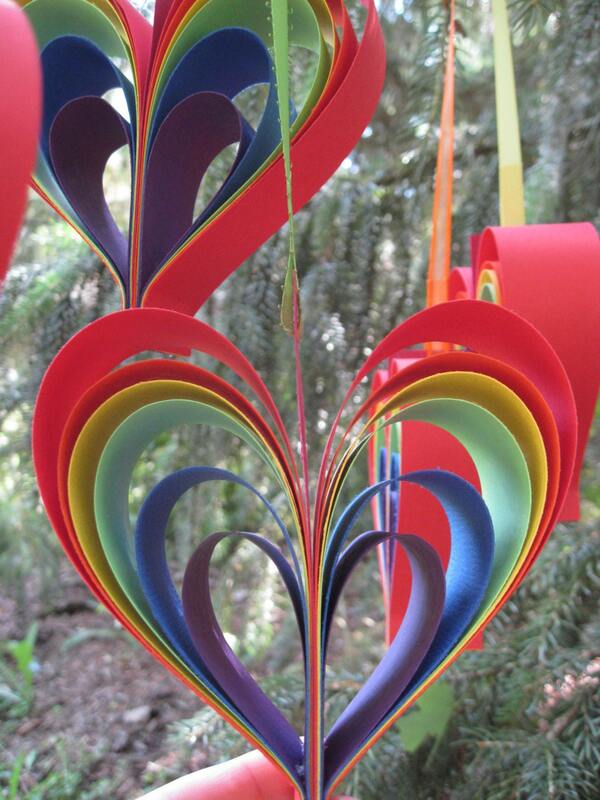 These hearts have red, orange, yellow, green, blue, and purple. 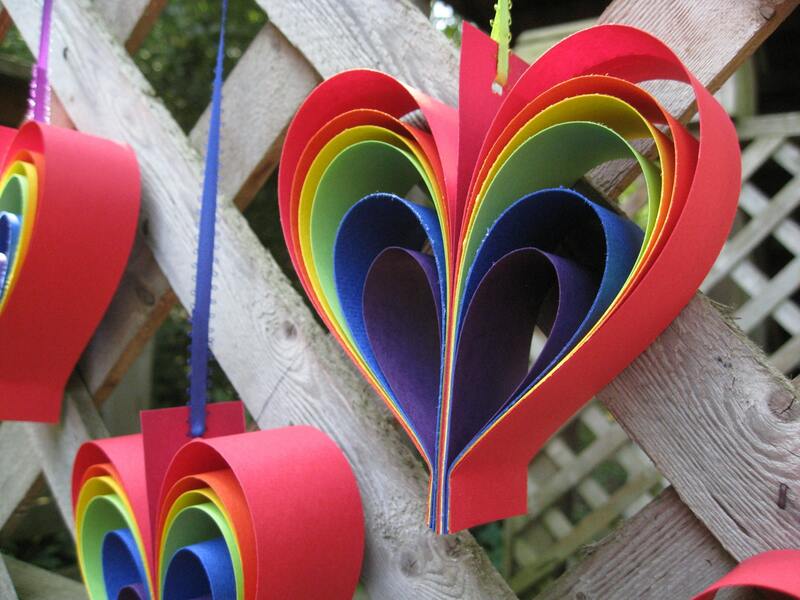 The hearts are punched with a hole and hung on different colored ribbons. Each heart measures about 6x6 inches and is 1.5" deep. I can also do these individually or on garland. I can do them in ANY COLOR OR COLOR COMBINATION! Or amount! If you would like a custom order, see the color list below, and leave me a note at checkout with your choices.